Add to different lists (for example I currently have a wedding list for items that I am watching for a wedding I have early next year and I have an apartment list for items I want for my redecorating project) and continue shopping! 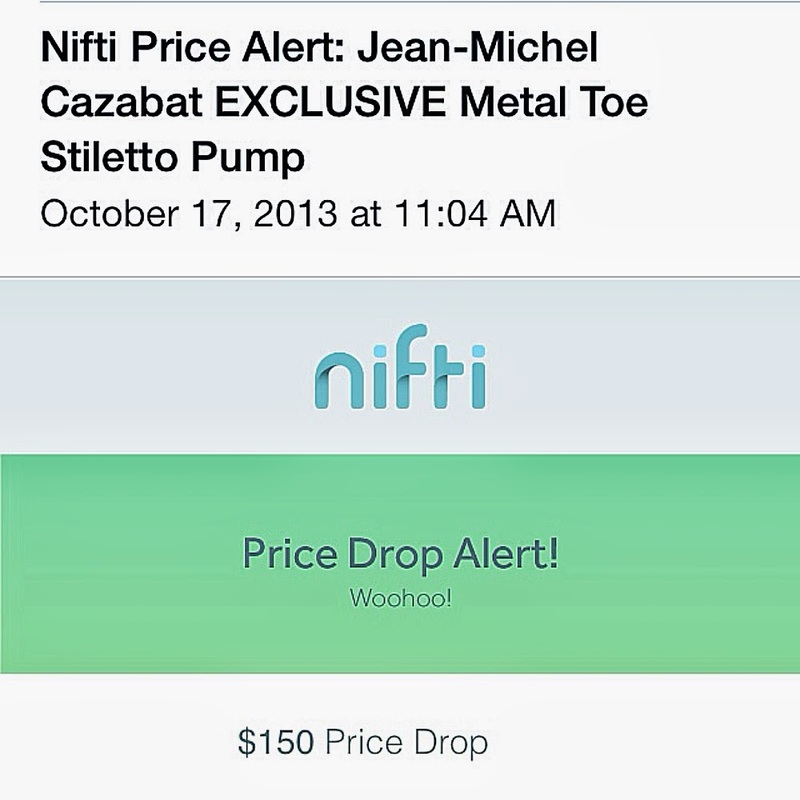 Nifti will email you as soon as the price drops to your desired amount or lower as it happened to me a couple of weeks ago! You can also see the price trends, since you begun watching an item on Nifti, to help you determine whether you should go ahead and get at the current price or wait a bit more. Also, say you bought a big ticket item (like a sofa), that you have been tracking, and the price subsequently drops? Cue the horror! However, if it is still within your return window, Nifti has enabled you with that knowledge to give the retailer's customer service (for example: West Elm) call a line and put those funds back in your bank account! This is not a paid advertisement. I am, solely, sharing my love for team +Nifti. Download the app and give serendipity a nudge by taking the team with you. Honestly, the only reason I can see for not embracing +Nifti is complete stubbornness and pursuit to spend more than you have too!